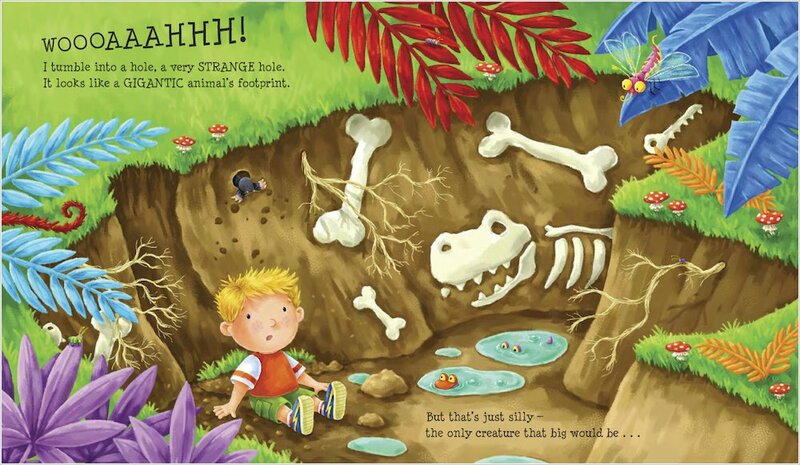 With the Supermarket Zoo creators on his side, Alfie’s dino garden will be awesome. Take one packet of dinosaur seeds. Sprinkle them over the vegetable patch. And get ready to run for your life! Albie has a gift for zapping excitement into the dullest moments. So when Mum makes him help in the garden one day, what does Albie do? He tosses down some dinosaur seeds. By the very next morning, the garden has turned into a jungle full of massive monsters. Flying with pterodactyls. Being chased by a hungry T-Rex. Whopping colour pics bring every moment to life. Colour this roaring T-Rex from How to Grow a Dinosaur. Join the dots to reveal a fearsome dino! 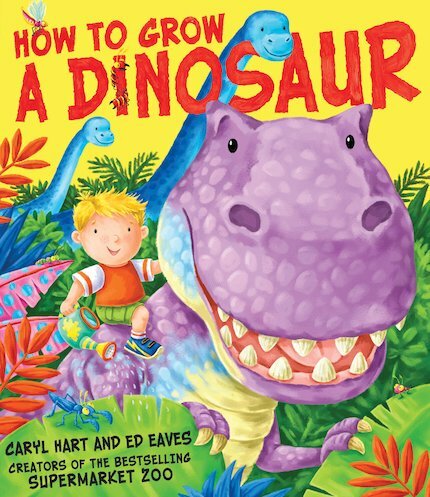 this is an imagenative book about how to grow a dinosaur of your own. I want some magic seeds so that I can grow a T-Rex in my garden like Albie! 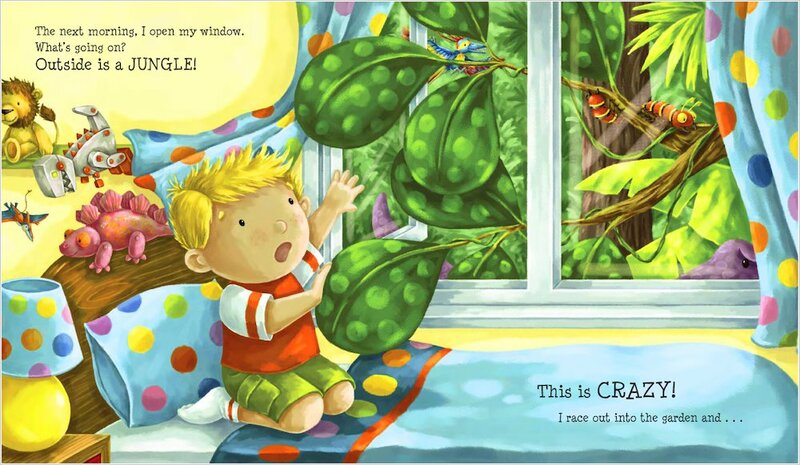 It’s funny when he sees they jungle out of his window and I wish we had a jellybean tree in our garden!